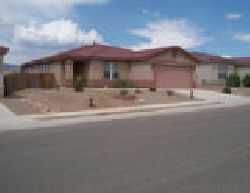 Welcome to our selection of holiday rentals in Arizona. Arizona is a state located in the Southwestern United States and is also part of what is the mountain west and also the western United States. The capital city of Arizona is also it's largest being Phoenix. Arizona was also the 48th state to become a member of the United States, having achieved this in 1912. Arizona is also known as the "Grand Canyon state", this is mostly due to the fact that the biggest and best-known attraction in Arizona is the world famous Grand Canyon, which is a beautiful and very steep-sided gorge near the Colorado River, in Northern Arizona. Considered one of the seven wonders of the world, the canyon is largely contained within the Grand Canyon National Park, which aside from being one of the first such national parks within the country, was often frequented by President Theodore 'Teddy' Roosevelt himself. At the present time we are sorry but we do not have any holiday rentals available in Arizona. Arguably one of the worlds most well known natural wonders is the Grand Canyon. Almost 280 miles long, almost 20 miles wide and over a mile deep, the canyon has been formed by the Colorado river over millions of years to create one of the worlds most beautiful natural attractions. The Grand Canyon national park protects the almost 2000 square mile area and leaves it just as stunning as nature intended. Arizona plays host to over 300 golf courses, with a range of skill levels catered for and a huge variety of beautiful scenery to match. Arizona�s year round good weather makes for ideal golfing conditions at anytime. Arizona offers families a variety of fun days out to choose from. The Arizona Challenger Space Centre is an inspiring place to visit for children and adults alike, with lessons on space and a planetarium, the space centre offers children a chance to explore space and see what its like, should they wish to become an astronaut in the future. There are also water parks for the whole family to enjoy. The Aquatic Center in Lake Havasu City is a perfect example of the fantastic water parks in Arizona with huge pipe slides, wave pools and a �kiddie lagoon�, specially for younger children. For those who would rather be pampered, Arizona has a range of spas and treatments to leave visitors feeling great. Phoenix Sky Harbour International Airport - The largest and busiest airport in Arizona, also the largest commercial airport in the southwestern United States located just 3 miles from the centre of Phoenix. Tucson International Airport � Arizona�s second largest airport. Bullhead International Airport � Serves US and Canadian airlines. Yuma International Airport � Primarily used for military aircraft but also handles flights from Los Angeles. Arizona State Capital � Phoenix � Phoenix is also Arizona�s largest city. Tucson, Kingman and Yuma are other notable cities. Arizona is a landlocked state in the south-western corner of the United States. It shares boarders with California, Nevada, Utah and New Mexico. Arizona also shares a boarder with Mexico to the south, and is one of the �Four Corners� states, sharing a point with New Mexico, Colorado and Utah where the four corners of each state come together into a perfect cross, a monument of this exists on the point where the states meet.